We also offer a range log cabins designed for existing or new outdoor pools. With the natural insulation of log and the strong draught free construction you will save around 30% on your heating bills and save money. In an ideal world, wall insulation would be needed to meet building regulations, however, by using our tight interlocking log design method we can produce thicker logs which keeps the cost of heating and running your poolhouse to a minimum. Whether you are planning a new pool or an enclosure for an existing one New Forest Log offer a design and build service that provides an economical and attractive solution to your pool requirements. The Merley Poolhouse and Office Complex was completed within 6 months despite the awful weather during the winter months, but our team battled on regardless to have the grand opening on Saturday 19th April 2014..! It's a well known fact that Holiday Parks around the country need to provide better services and facilities to their residents, be they Holiday Lodges or Residential Homes and New Forest Log Cabins are please to be able to offer a full range of products from the Offices right through to the Poolhouse Enclosure with Shower Facilities, Sauna, Shower and Changing areas which also boast a Laundry Room, Meeting Rooms for Clients and Visitor. For more information on our ability to produce and build a cost effective Poolhouse Enclosure, Office Complex or Log Homes for you, please CONTACT US. The Woolland Poolhouse measures 24 x 8.5 mtr with integral gym, sauna, internal and external WC and pump room. Constructed in 92mm square log with full insulation to meet Building Regulation. The Woolland Spa would provide a year round environment and is suitable for schools, holiday complex or hotel with all you need for healthy living. To enjoy the benefit of the Spa, why not book a short break or holiday at Dairy House Farm in Dorset. The Perkins Poolhouse measures 11 x 5.5 mtr and has an integral pump room and is constructed in 70mm with triple opening glass doors, swivel and tilt windows and options for an insulated roof with Velux windows. To get year round use out of your pool, consider a Perkins Poolhouse and we will make it in any size you want. 11.5mtr x 5.5 mtr 70mm. The In-Excess Café is build using the same design techniques as our Poolhouse Enclosures and is located in the In-Excess Garden Centre near Ringwood in the New Forest so you can see one that we built earlier and take afternoon tea at the same time.. When space is a premium and you want to swim in the winter, the Smith Poolhouse Enclosure could be right up your street. Measuring 7 x 4.5 mtr we can build in the pump room or add a Sauna or changing room for little extra cost. Solid log pool enclosures are hand built and have many advantages over conventional offerings such as exceptional value for money, low environmental impact and are beautiful to look at as well as being ecologically sound. 14mtr x 10mtr - 92mm. 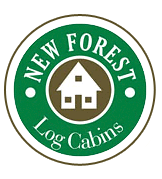 Please note this is a typical example and not one that New Forest Log Cabins built. Based on the Ryan style og log cabin, the Summerhayes could very easily incorporate a shower rooms, saunas, bar area, WC, pump rooms and much more. 6.7mtr x 4.4mtr solid 70mm or 88mm logs. With every customer's needs being slightly different, we offer a custom made design service and supply all drawings to assist with planning permission where required. We also have an extensive range of cabins suitable for housing spas and hot tubs and would be very pleased to to discuss how we might offer customers a complete service. 4.8mtr x 2.4mtr - 70 or 88mm log sizes.